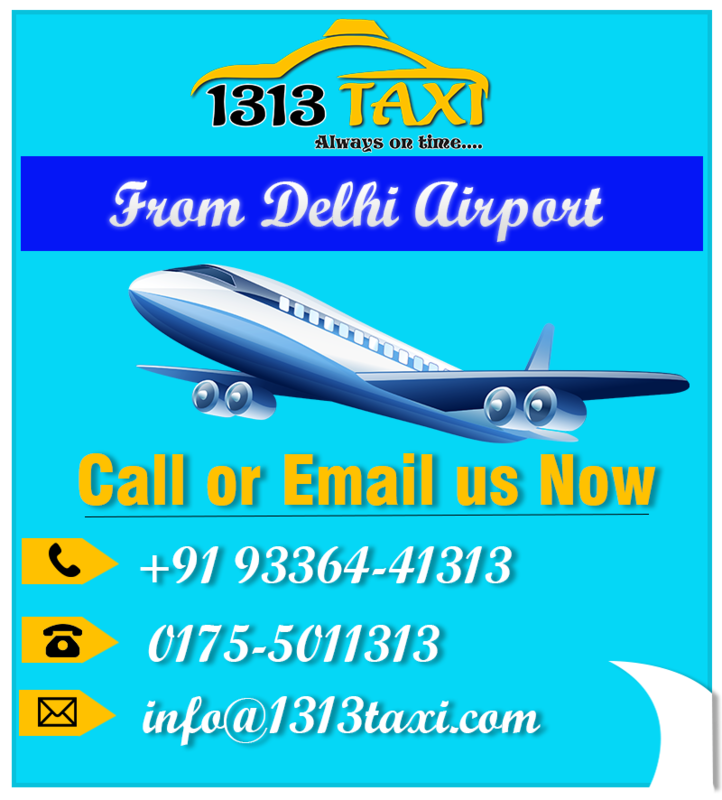 Taxi stand in Patiala: 1313 Taxi is always promised to provide its customers with the top class and hassle-free Taxi service in Patiala. Our taxicab services are easily available at affordable prices. Moreover, we always regard our customers as a ‘King.’ Further, it’s our major responsibility to make them feel the best. Are you looking for the best taxi stand in Patiala? 1313 taxi is providing its visitors with a perfect platform to travel in a professional way. Moreover, we are the top performers of the industry with many years of real-time working experience. Contact now at +919216041313 and book our cab service in Patiala at cheapest prices. It will give you the world-class traveling experience. Similarly, our car rental services are also available on a half-day and full-day basis. Further, 1313 taxi also provides with one-way taxi service in Patiala. In fact, it is the most popular service among the visitors. So, why wait further. Just hit us at the number given above and design your journey with 1313 taxi. We assure it will be a tremendous time for you. Our well-experienced and trained drivers are experts in the field. They have exceptional driving skills and handle related tasks in a professional way. Similarly, they will make you feel pleasant and stress-free throughout the visit. 1313 taxi always strive hard to make sure you feeling the comforts at home. These key qualities and characteristics crowned us as the best Taxi stand in Patiala. We have the team of well-behaved, experienced and trained staff to serve you with the best traveling memories. Moreover, they are soft-spoken and are well known in many languages as you prefer. At 1313 taxi, we have all types of cars; buses lower to higher prices as to meet your any requirement instantly. Being the best taxi stand in Patiala, we take care of the customers from their door-step. We serve the customers with home pick-up taxi service and our duty ended up only when the customer reaches their destination. Further, we have the collection of a variety of car sizes and designs. 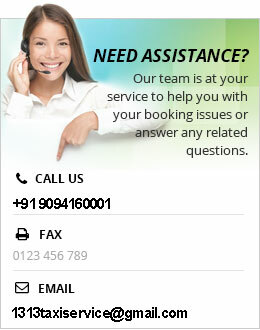 The customers have to just call or message us concluding their needs and requirements of the vehicle. As sometimes they have heavy luggage to travel with. 1313 Taxi also provides its customers with the option to make a booking online for an airport taxi. You just have to drop a message for us and that’s it. Your vehicle will be on the way and meet you within a few minutes. Similarly, our drivers always look after the customers’ needs during traveling. They serve the customers with pure and cold drinking water, newspapers, magazines, music system etc. Further, they always consider in mind that the customer should not feel boring while traveling by our taxi stand in Patiala.